As a manufacturer of chemicals, the Kluthe Group not only undertakes to develop and produce technically sophisticated products, but also to carefully treat the residues that arise when using such products. 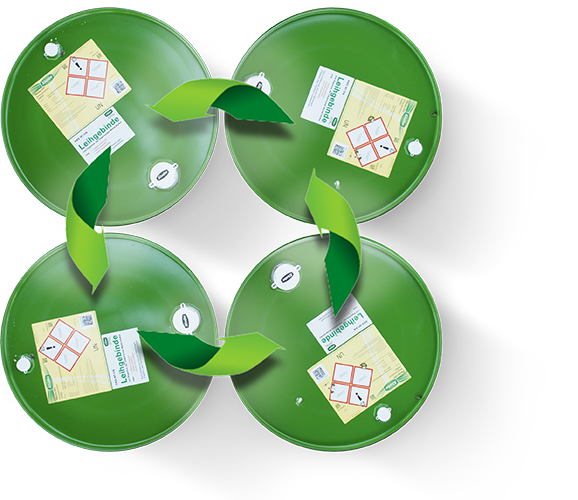 As one of the leading companies in the field of recycling, Rematec GmbH - a wholly owned subsidiary of Chemische Werke Kluthe GmbH - offers its business partners solutions for all their waste materials. During this process the recovery and, consequently, the return of the isolated raw materials to the economic cycle are at the forefront.